Originally from Hungary, Magda Gerber was an early childhood educator who was passionate about the care of infants. She was impressed with pediatrician and infant educator Emmi Pickler’s past success with creating environments that provided opportunities and encouragement for children to reach their full potential. Pickler’s core values of respect, trust, and acceptance inspired Gerber in the creation of her philosophy known as RIE (Resources for Infant Educarers). The “Educaring” approach believes parents and caretakers must have respect for infants and trust that they are natural inventors, explorers, and self-learners. Gerber says infants should be viewed and spoken to in ways that allow them to become active participants in their daily lives. In her opinion, infants should be left to explore safe environments with little adult interaction. She believes the less parents do, the more a child can deeply learn and explore their own interests. The learning that occurs in this type of environment is extremely valuable and motivates the infant to learn and discover the world around them. The goal of RIE is to develop an authentic child who feels secure, independent, and able. Respect is a large part of the RIE philosophy, which stems from Emmi Pickler’s original methodology. Parents and educators must respect an infant’s ability to learn and develop naturally and give them ample opportunity to do so. Parents should observe their infant to best understand their own communication and needs. Respectful communication among parents and educators provide an environment that encourages learning and growth. Simply the way an adult looks, listens, or speaks to an infant can show respect and trust that their infant is ready to investigate and learn. For example, involving the infant in basic daily tasks by speaking to them and explaining actions allows for active participation. These daily tasks can include diaper changes, bathing, and feedings. Consistency and communicating expectations with infants can also aid in the development of discipline. Even at an early age, infants understand verbal and nonverbal cues. Challenging an infant daily with new surroundings and concepts ensures the learning process is continual and that it builds on previous knowledge and experiences. Gerber was a huge proponent of giving infants time for uninterrupted play so they can explore at their own pace and interest. 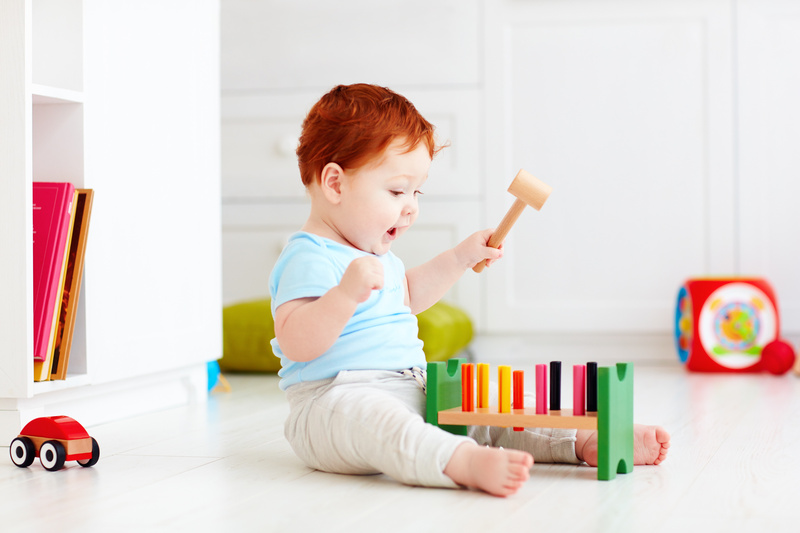 Instead of teaching infants new skills, this uninterrupted play allows the learning process to stay natural and follow the infant’s interests. Parents and educators must also be able to provide a safe, predictable, consistent, and challenging environment. The environment should be one where an infant can be completely natural in the way they explore and interact. If an infant’s environment is predictable, it is easier for them to learn because they understand what is about to occur. Since infants naturally want to move around to explore, having a safe environment allows them to do so without restrictions. Another wonderful aspect of this philosophy of respect, trust, and acceptance is how it works for all ages and promotes overall growth and happiness in life. The main goal of RIE is to create an authentic child who feels secure, autonomous, competent, and connected to the world around them. This sense of security and confidence will remain with them through their educational journey. This journey not only includes academic growth, but social growth as well. Understanding the importance of respect, trust, and acceptance allows for the creation of strong relationships in life. A strong sense of self and an even stronger connection to the people and places around them promotes amazing growth and happiness in life beginning as infants and continuing on into adulthood. Many of the core values and principles of the RIE philosophy align with those of the Reggio Emilia approach found at The Compass School. The Reggio Emilia approach views the child as a strong, capable, and independent learner, while the teacher is seen as a partner in the child’s learning process. Respectful communication and interaction between teachers and infants is strongly encouraged by the RIE methodology and The Compass School. This respected and trusted relationship allows infants to grow and master skills in a positive and encouraging environment. Using the classroom environment as the “third teacher,” children’s actions, questions, and interests are observed and documented for further exploration. To learn more about how The Compass School uses observation and documentation, visit our website by clicking HERE. To see more about The Compass School’s programs or to schedule a tour, click HERE! Previous Post: Reggio Emilia-Inspired Kindergarten Programs Next Post: Who is Loris Malaguzzi?